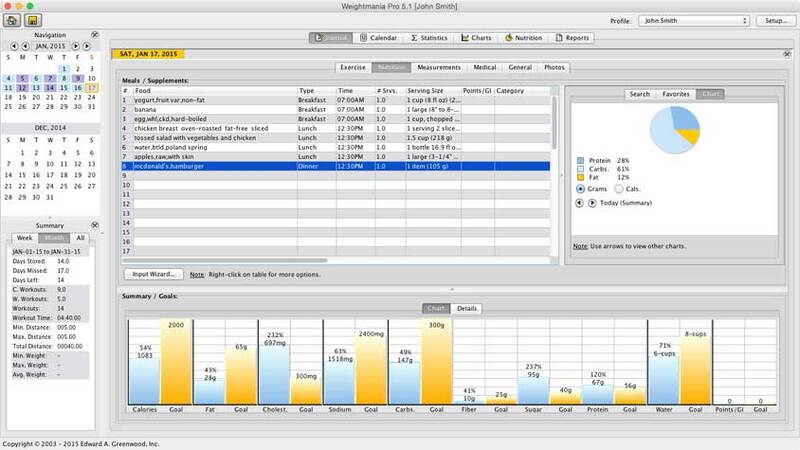 Fitness, nutrition and weight loss software for Mac OS X. A comprehensive fitness, nutrition and wellness tracking journal for 1-5 people. This version is specifically designed for Mac OS X computers. Track 120 things related to workouts, nutrition, weight loss, diabetes and medical info. It supports cardio. and weight training, accommodates any workout or diet plan, and tracks multiple people. Visualize your progress, judge the effectiveness of diets and workouts, and reach goals sooner. • When you keep a journal, you're almost twice as likely to reach your goals. • Lookup foods and add their nutrients together (add nutrients for up to 25 foods at a time). • Easily compare daily nutrients to daily goals. 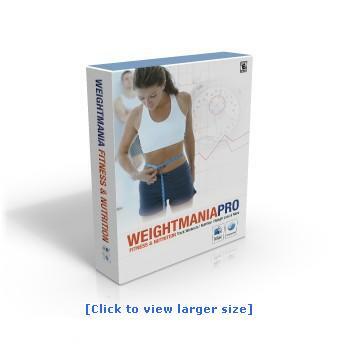 • Track all the essential measurements including heart rate, body fat, and BMI. • Provides labeled muscle chart for reference. • Provides detailed information about the new food pyramid. Platforms: Mac OS X High Sierra, Sierra, El Capitan, Yosemite, Mavericks, Mountain Lion and Lion (any version of Mac OS X from 2010 - present). Requirements: 10 MB RAM, 150 MB disk space.